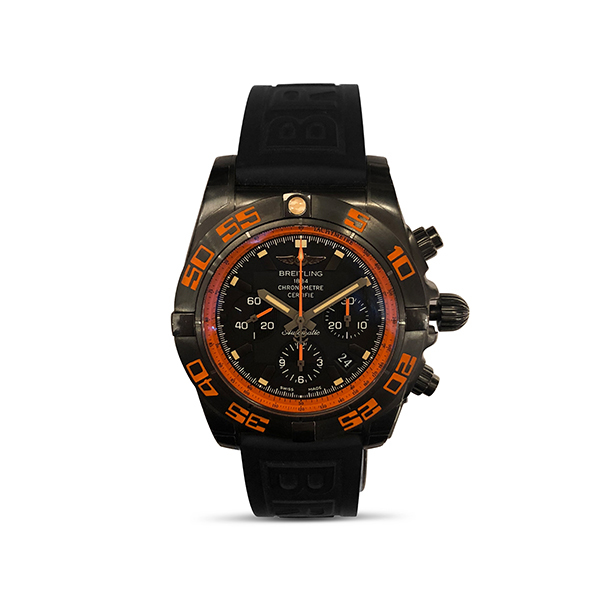 This new Breitling Chronomat 44 Raven features a black onyx dial and orange markers. This watch comes with a 5 year Breitling factory warranty. Model number: MB0111C2/BD07. Serial Number: 31491XX.